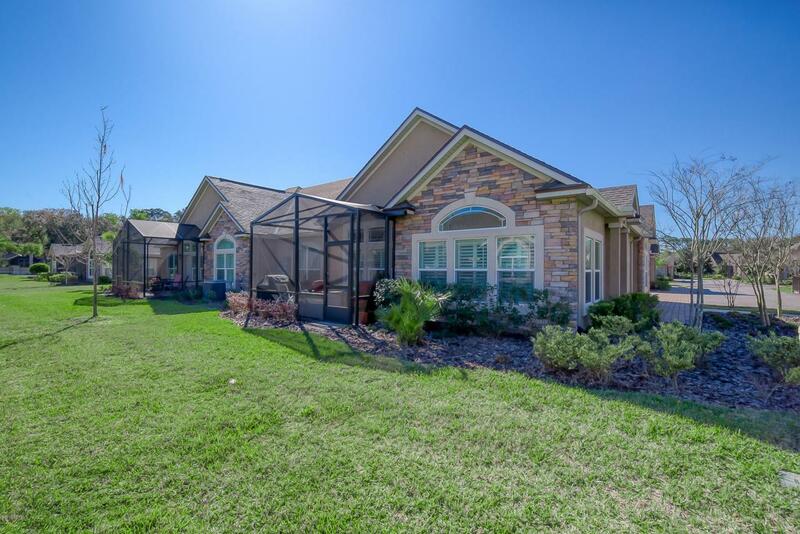 Better than new gorgeous condo located in the 55+ Villages of Seloy St Augustine community. 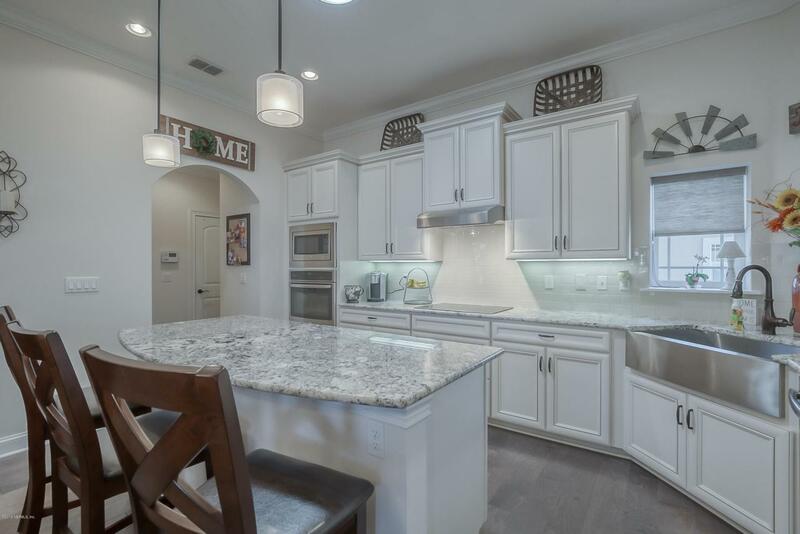 White kitchen cabinets with granite counter tops, subway backsplash, farmer's sink, touch faucet. 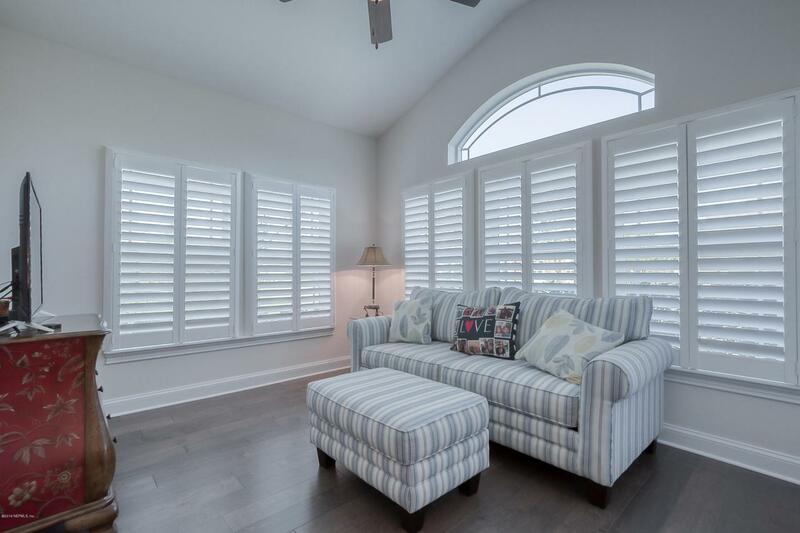 Vaulted ceiling, crown molding, after market upgraded high-end wood floors throughout, upgraded light fixtures, plantation shutters. Screened lanai. 2 car garage. Master suite with double vanities, granite tops, large walk-in shower and walk-in closet; large secondary bedroom. Washer, dryer, water softener, refrigerator included. 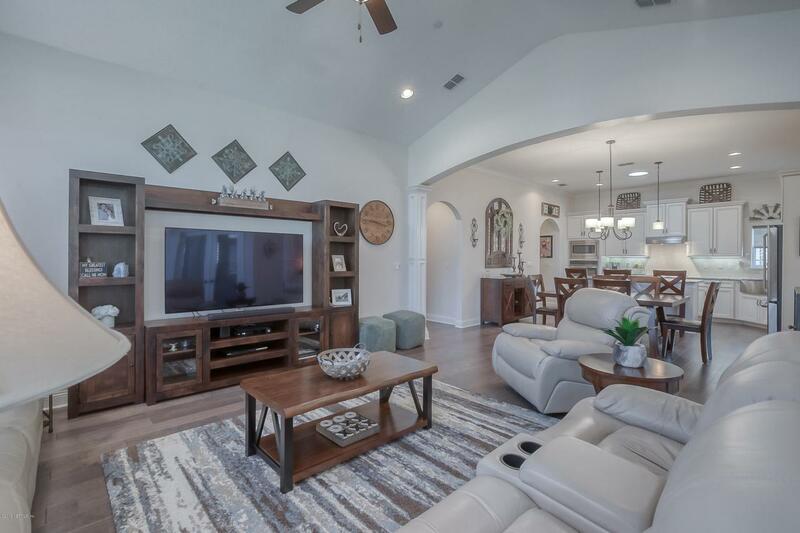 This unit shows better than a model home with upgrades galore in Florida's premier county of St Johns. Convenient location between US1 and Rt95, easy access to historic downtown St. Augustine and Jacksonville. A must see!Included in the HOA fees are: trash removal, Fire, Hazard, Liability and exterior building insurance (excluding personal possessions), landscape/exterior building/street and driveway maintenance, common area lighting, operation of swimming pool and community clubhouse, termite bond, professional management services.